Now you have found what you were looking for !! The Times is based on the probabilistic approach. This EA has been working for years, is a very complex research project with the ultimate goal of creating a perfect trading robot. This project has several updates! This robot does not work with Grid or Martingale / Obs: There is a martingale option in it, but we do not use it, it is only for those who want to be at high risk! The EA comes with fixed Stoploss and fixed takeprofit! We use the Times only in 1 currency pair. 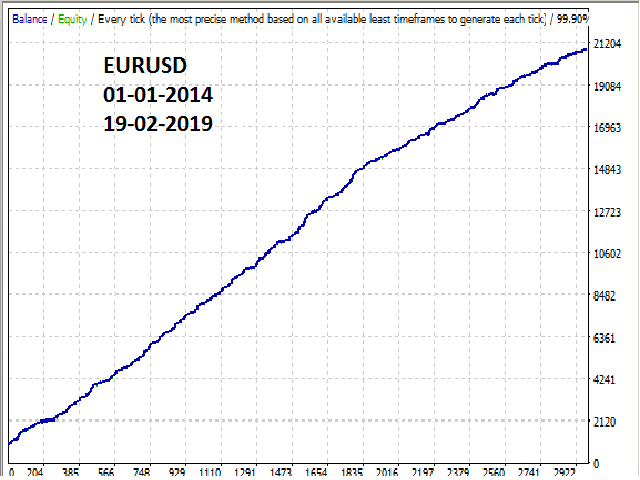 The best pair to date was (EURUSD). Recommended to work only with low spread. The time period of the chart does not matter for the execution of real life. 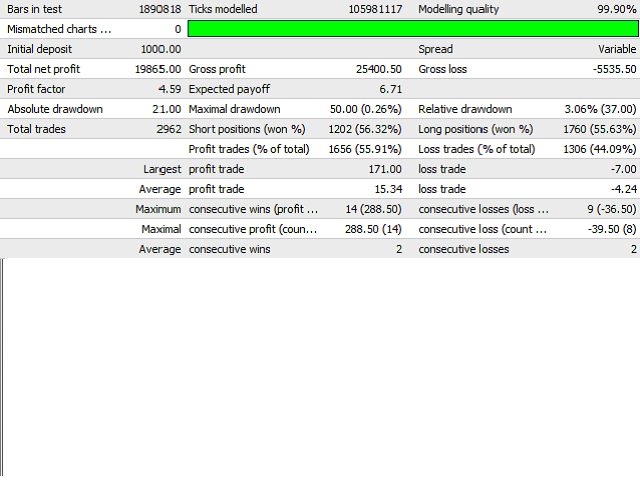 Use the M1 for backtesting on the strategy tester because it ensures the best quality of tick simulation. Our lot is exponential, it will increase as your account grows.